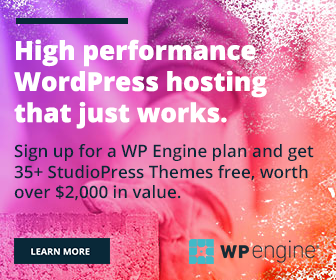 Looking for the best free table plugins for WordPress? Tables are essential parts of comparison posts. They help us to compare multiple products and cross-check their specifications to choose the winner. WordPress simplifies your product comparisons and other similar posts wherever you need to create tables. Install a WordPress table plugin and insert tables in posts and pages quickly without coding anything. These are the best table plugins for WordPress. Table Press is the most popular table plugin for WordPress websites. You can easily create and manage tables with the plugin. It lets you show tables in posts, pages, and sidebar using a shortcode. The tables can be imported or exported to your system and can contain any types of data in columns and rows. This’s is a WordPress premium table plugin from CodeCanyon. It is useful to create common tables, rank charts, leaderboard or anything else via shortcodes. League Table is highly responsive and comes with eye-catching design and colors. The plugin is available for $ 14. 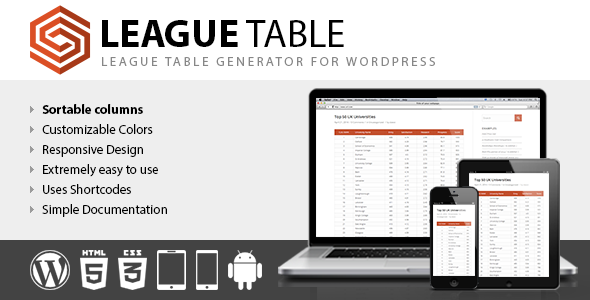 It is a simple, light-weight plugin to create tables in WordPress. It allows you to easily include an HTML table into the site and configure it via data attributes. Foo delivers responsive table along with sorting and filtering options. You can make use of both options together in a table or anyone at a time. This’s one of the best table plugins for WordPress. Here, you can create and manage tables with powerful features like paging, sorting, filtering, searching, etc. It will work anywhere on the site including posts, pages, and widgets via a shortcode. Ultimate Tables comes with 3 elegant designs and lots of management options. It allows you to add multiple tables at once in a page or post, change the number of rows-columns-text in them, reorder, sort and many more. 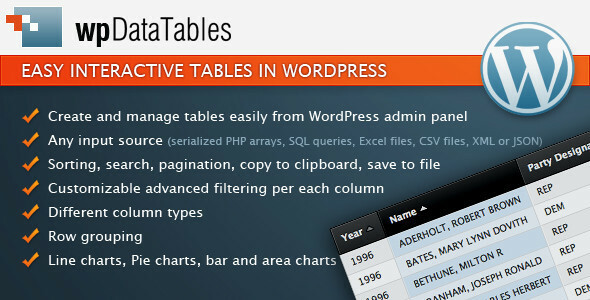 wpDataTables is another premium plugin to create WordPress tables. It is useful for catalogs, pricing tables, front-end DB management, services filter or anything else that falls into the table category. The plugin has an easy to manage interface, flexible and responsive design. It provides advanced features needed for any table like search, pagination, sorting, grouping, filtering, etc. Chart feature is another important advantage of wpDataTables. MCE Table Buttons is another free of WordPress table plugins. You can resize columns, merge or split cells, try other formatting options and so on with the plugin.